Fresh Coat Painting & Renovations has developed a phenomenal reputation in the home renovations and kitchen renovations industry. We serve clients from Oakville, Burlington, Milton, Hamilton, Stoney Creek, Ancaster, Dundas and surrounding cities. The quality, consistency and dedication that the team at Fresh Coat Painting & Renovations pours into every single project we undertake is unparalleled. We provide our esteemed clients with results that far exceed their expectations. Our exceptional craftsmanship and extraordinary design has long been sought after by home buyers and owners alike. To ensure that our considerable reputation carries on, we work with the leading home renovations and kitchen renovations professionals in the industry. Our ambitious designers, adept project managers, innovative engineers and quality tradespeople have worked diligently with us for more than 10 years to renovate the homes or kitchens that our clients and their families have always dreamed of! Fresh Coat Painting & Renovations are specialists in our industry, and we have proudly served clients in Oakville, Hamilton, Burlington and Milton with premium kitchen renovations and designs for over 10 years. We are the proud home to an exceptional kitchen renovation and design staff committed to providing exceptional service. Every kitchen renovations project that Fresh Coat Painting & Renovations has undertaken exudes one-of-a-kind artistry and stunning craftsmanship, producing unique kitchen environments for our clients to experience for themselves as their very own. At Fresh Coat Painting & Renovations, we work in close partnership with our clients in order to accommodate custom kitchen solutions for any request they make of us. Our expert team thrives on challenges, and works in close collaboration with our clients and the professionals who are vital to each project's sucess! In regards to our all of our services, including specialty kitchen renovations, we rely on our clients to provide us input from the start of their custom home renovating project to the finish. We strive to follow through on their needs and concerns until they are 100% satisfied with our efforts! Aiming to provide all of our clients in Oakville, Burlington, Hamilton and Milton with an outstanding home renovations experience is one of many things we do best. 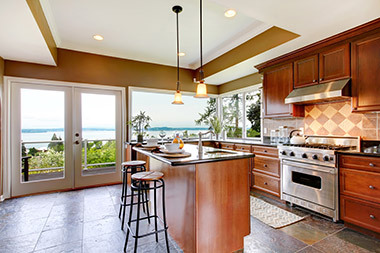 The experts at Fresh Coat Painting & Renovations complete each and every one of our impressive home or premier kitchen renovation projects with accuracy in timing and budget. Our 10+ year command of the industry, combined with our business acumen and home renovations and kitchen renovations experience, strengthens our ability to provide our clients with the highest standards of quality and service. 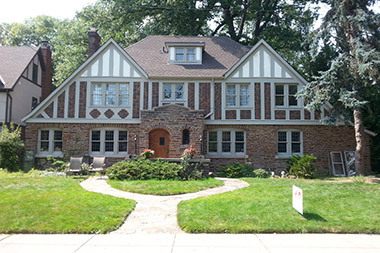 Our gallery of outstanding home renovations is a great source of inspiration, providing your with ideas to aid you in designing the custom renovated home or kitchen that you have always desired. 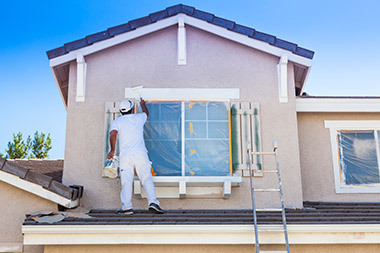 Allow Fresh Coat Painting & Renovations to help you turn your dreams into reality. We will transform your kitchen or other area of your home, uniquely tailoring it to your individual style, resulting in an inviting atmosphere in which you and your family can relax, have fun, and build cherished memories. We invite you to visit our kitchen renovations and home renovations pages, or contact us to discover more about how Fresh Coat Painting & Renovations can work with you to achieve your custom home building or home or kitchen renovation ambitions! Dan, we can't thank you enough for such a terrific experience. Your crew was clean, courteous, extremely talented and a happy spirited group of hardworking gentlemen. They were so much fun to have in our home for five days. We will definitely use your services again and highly recommend Fresh Coat Painting & Renovations to all our friends and family. It is with great pleasure that I write this letter of recommendation to Fresh Coat Painting & Renovations. Dan Colig is a professional who has ensures that each of the many painting jobs we have sent him on have been completed with the highest of quality. All the jobs have beed completed within the timelines we have given him and his team has always been very clean and considerate while working on a site. Just want to let you know how impressed we are with the quality of work your painters did in our home, they were courteous and clean, they paid attention to detail and pointed out things that I haven't even noticed. They did an excellent job, very organized, always showed up on time and cleaned up before they left. The house looks great. I will gladly recommend Fresh Coat to all my friends. Take a look through our gallery to see some of the projects we have worked on, and get inpired for your next home renovations or kitchen renovations project! An ideal kitchen renovation should result in effectively expressing yourself, and attaining top-notch functionality, in your home's most used space. Fresh Coat Painting & Renovations provides high quality home and kitchen renovation services to homeowners in Oakville, Ontario and surrounding areas. Home renovations and kitchen renovations Oakville, Burlington, Milton, Waterdown, Hamilton, Mississauga, Grimsby, Ancaster, Dundas, Stoney Creek and surrounding cities. For more than 10 years, Fresh Coat Painting & Renovations has proudly served our valued clients with exceptional customer service and support.